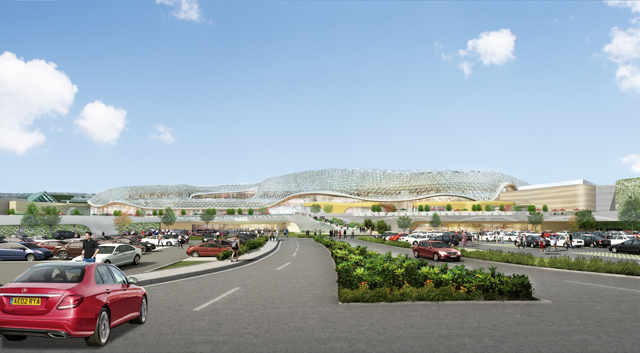 British Land, joint owner of Meadowhall in Sheffield, reveals details of the proposed Leisure Hall at Meadowhall, Yorkshire’s premier shopping destination, as the company begins a public consultation on the proposals. The plans represent the single biggest investment in Meadowhall since it opened more than 25 years ago. 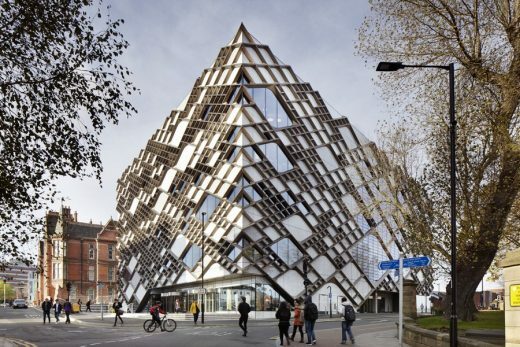 At over £300 million, the proposals are also one of the largest investments in the Sheffield City Region for a decade and will create over 1,000 jobs. Comprising 330,000 sq ft of space, the proposed Leisure Hall will add a range of dining and entertainment experiences not currently available at the centre. 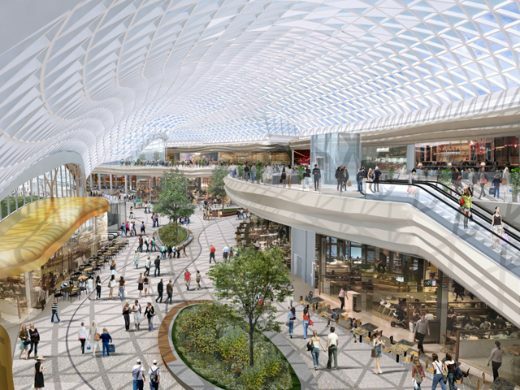 These include a number of new restaurants, a state-of-the-art cinema to replace the existing cinema in the Oasis Dining Quarter, a new café court, gym, and other leisure space that could be used to offer everything from ten-pin bowling to indoor golf. Housed under an elegant glazed roof, the Leisure Hall will integrate with the existing centre to create a new multi-levelled, landscaped mall with high quality internal and external spaces for promotional and community uses. It has also been designed to accommodate large outdoor events including live music. More than 1,000 jobs will be created by the Leisure Hall, in addition to a number of temporary construction jobs. 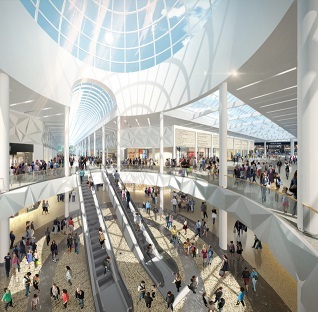 The jobs will be promoted via The Source, Meadowhall’s on-site recruitment and training facility founded by British Land with Sheffield City Council in 2003. A detailed planning application for the Leisure Hall will be submitted in late summer 2016, following extensive consultation with local stakeholders. If the proposals are approved, British Land hopes to start on site during 2018 and open the Leisure Hall to visitors in late 2020/early 2021. We are one of Europe’s largest publicly listed real estate companies. We own, manage, develop and finance a portfolio of high quality commercial property, focused on retail locations around the UK and London offices. We have total assets in the UK, owned or managed of £19.7 billion (of which British Land share is £14.4 billion), as valued at 30 September 2015. Our properties are home to over 1,200 different organisations ranging from international brands to local start-ups. Our objective is to deliver long-term and sustainable total returns to our shareholders and we do this by focusing on Places People Prefer. People have a choice where they work, shop and live and we aim to create outstanding places which make a positive difference to people’s everyday lives. Our customer orientation enables us to develop a deep understanding of the people who use our places. We employ a lean team of experts, who have the skills to translate this understanding into creating the right places, and we have an efficient capital structure which is able to finance these places effectively. UK Retail assets account for 51% of our portfolio. As the UK’s largest listed owner and manager of retail space, our portfolio is well matched to the different ways people shop today. We are focused on being the destination of choice for retailers and their customers by being the best provider of spaces and services. Comprising around 22 million sq ft of retail space across shopping parks, superstores, shopping centres, department stores and leisure assets, the retail portfolio is modern, flexible and adaptable to a wide range of formats. Our Office and Residential portfolio, which accounts for 49% of our portfolio is focused on London. We have an attractive mix of high quality buildings in well managed environments and a pipeline of development projects which will add significantly to our portfolio. Increasingly, our Offices are in mixed-use environments which include retail and residential elements. Our 7.5 million sq ft of high quality office space includes Regent’s Place and Paddington Central in the West End and Broadgate, the premier City office campus (50% share). Our industry-leading sustainability strategy is a powerful tool to deliver lasting value for all our stakeholders. By supporting communities, improving environments and growing economies, we create Places People Prefer and enhance long-term returns. Further details can be found on the British Land website at www.britishland.com.